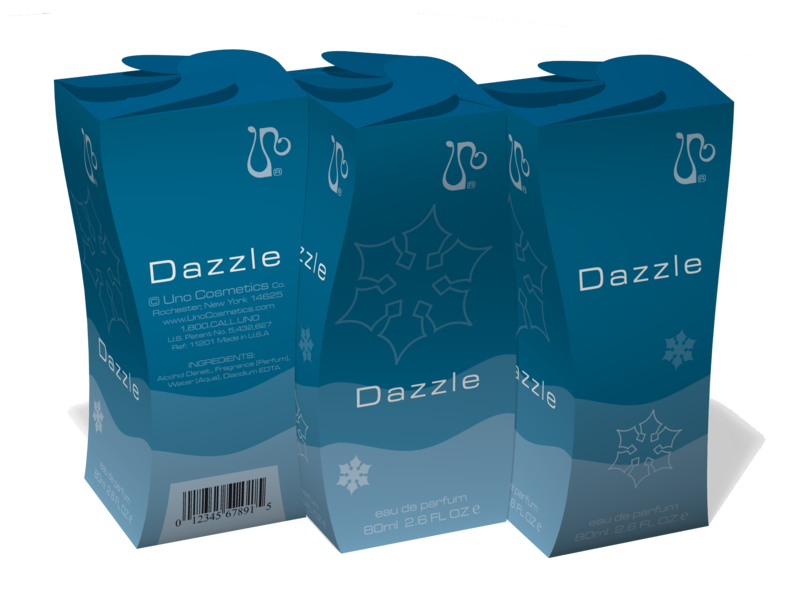 Unique packaging design with interlocking curved sides from a flat printed template. The set featured a theme of four seasons with spring green Mystify, summer pink Ignite, autumn orange Release, and winter blue Dazzle. All the boxes use the same profile curve and so can be stacked side by side with no space between boxes. Uno Cosmetics wishes to launch a line of perfumes using the theme of four seasons. 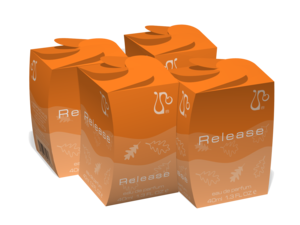 The package design should be eye catching, original, and cost effective. 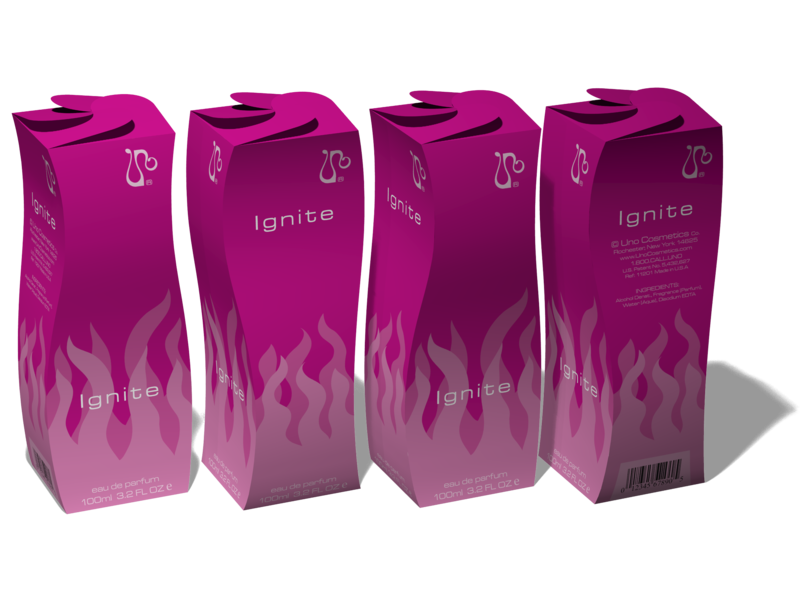 The perfume market is very competitive so the design must stand out from the competition. The visual design utilizes a bold color palate to stand out from the competition. The theme aspects from each of the seasons. 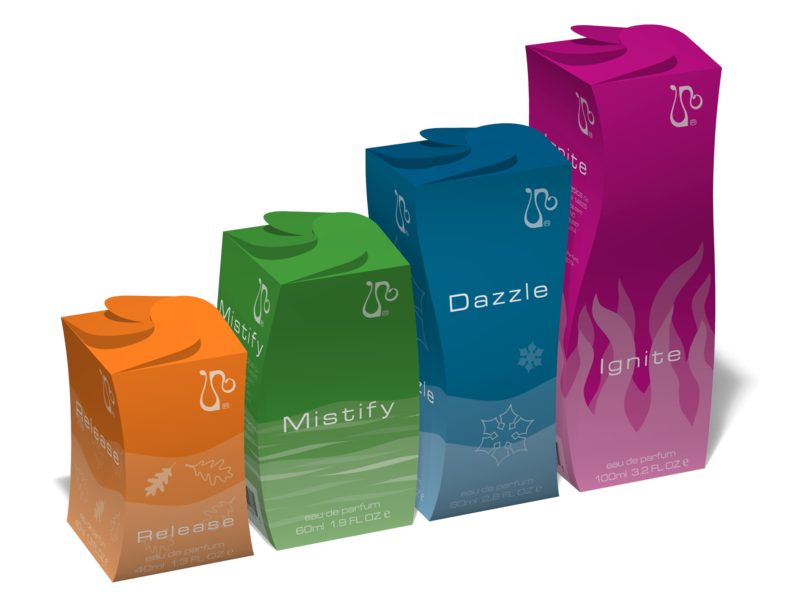 The spring season is represented by the green box for the Mystify product and includes a pattern of mist levels over green grass hills. 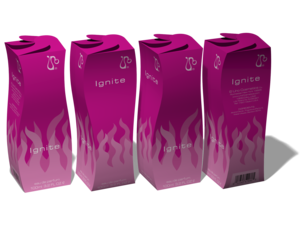 Summer focuses on temperature with hot pink heat waves and the Ignite name. Autumn follows with a pattern of orange leaves falling and a concept of relaxation for the Release product. Finally winter is represented with cold blues, snow banks, and snowflakes with the Dazzle product name. The package design employ a unique sine wave design that can be printed on flat card stock, trimmed and scored using traditional manufacturing machines, and finally folded into an undulating three dimensional curved box. All of the boxes use the same curve profile which simplifies the creation of cutting, scoring, and folding machinery dies. The template design requires only one glue line, on a vertical edge, and utilizes an interlocking folding design to seal the top and bottom ends.